Express Entry Job Offer - Canada Immigration and Visa Information. Canadian Immigration Services and Free Online Evaluation. While possessing a job offer is not mandatory for those seeking to immigrate using the Express Entry system, applicants with an approved job offer in hand will have a greater chance of being invited to apply for permanent residence. Applicants with an LMIA for employment as a senior manager (NOC 00) described under the National Occupational Code, will receive 200 points. Applicants with an LMIA for employment under all other occupations described under the National Occupational Code (NOC 0, A and B), will receive 50 points. Applicants working in Canada under an employer specific work permit backed by an existing LMIA, or providing significant benefit to Canada (Intra-Company Transferee); NAFTA or other international agreement, under an employer specific work permit and have accumulated at least 1-year of work experience; with a managerial skill level position (NOC OO), will receive 200 points. Applicants working in Canada under an employer specific work permit backed by an existing LMIA, or providing significant benefit to Canada (Intra-Company Transferee); NAFTA or other international agreement, under an employer specific work permit and have accumulated at least 1-year of work experience; with a skill level position O, A, B under the National Occupational Code; Skilled Trade (NOC B), will receive 50 points. For more information on Labour Market Impact Assessments, click here. To find the National Occupation Classification code related to a given job, click here. Job offers under the three different skilled immigration programs are subject to different requirements. For work that falls under skill type 0 or skill level A or B of the National Occupation Classification. The employer making the job offer has obtained a positive Labour Market Impact Assessment from Employment and Social Development Canada. The job falls under skill type 0 or skill level A or B of the National Occupation Classification. The applicant is working for the employer that is listed on his or her work permit. The applicant is authorized to work in Canada on the day he or she applies for permanent residence. The applicant will be authorized to work in Canada on the day that a potential permanent residence visa is issued. The applicant’s current employer has offered the applicant a full-time job should the applicant be accepted for permanent residence. The offer must be for at least one year and have the same three-digit National Occupation Classification Code as the applicant’s current job. For more information on the Federal Skilled Worker Program, click here. For more information on the Canada Experience Class Program, click here. The job is in a skilled trade (see section above). The applicant’s current employer has offered the applicant a full time job should the applicant be accepted for permanent residence. In order for a job offer to be valid, an applicant must be able to convince Canadian immigration officials that they are capable of performing the job that they have been offered. 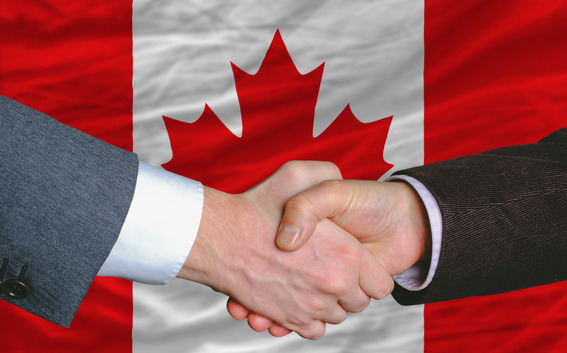 If the relevant job is regulated in Canada, the applicant must also be able to show that they will be able to obtain any required licenses or certifications upon arriving in Canada. Note: In Canada, the provincial governments are responsible for regulating trades and professions. Applicants are thus advised to contact the government of the specific province they wish to live in so that they can learn about relevant regulatory requirements.